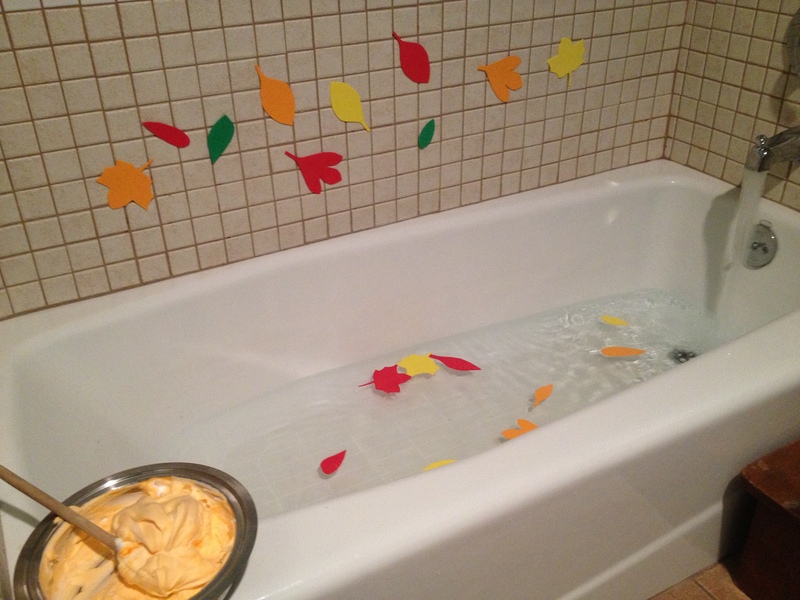 Fall Bath — I had my husband cut out leaves. I remember trying myself, and if you look closely you can probably tell which two I did. 😉 That’s shaving cream with orange dye. Playing in leaves. 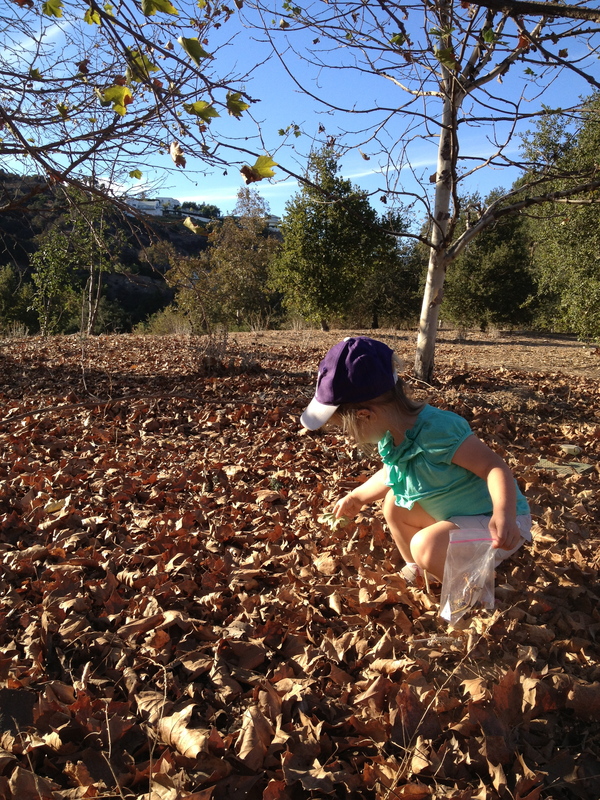 Collecting leaves for gluing onto a paper. 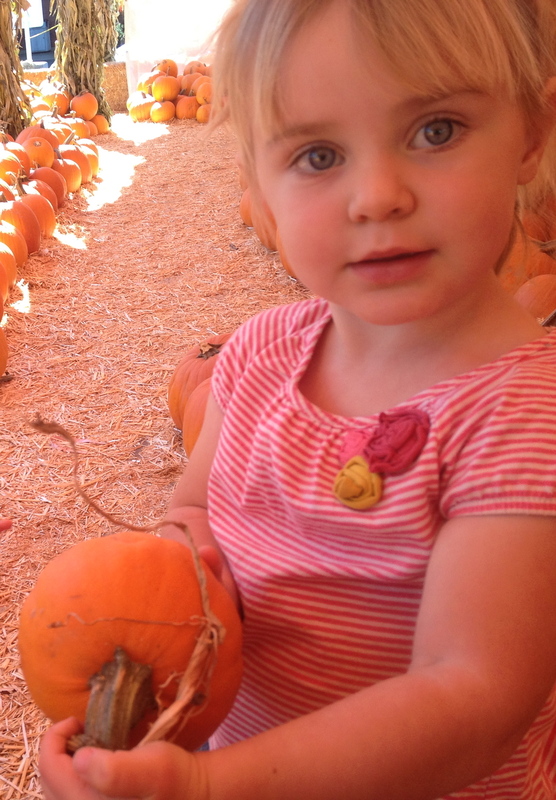 We visited a pumpkin patch. We don’t do Halloween, so I’ve never really gone to these, but during the week, they’re pretty benign. 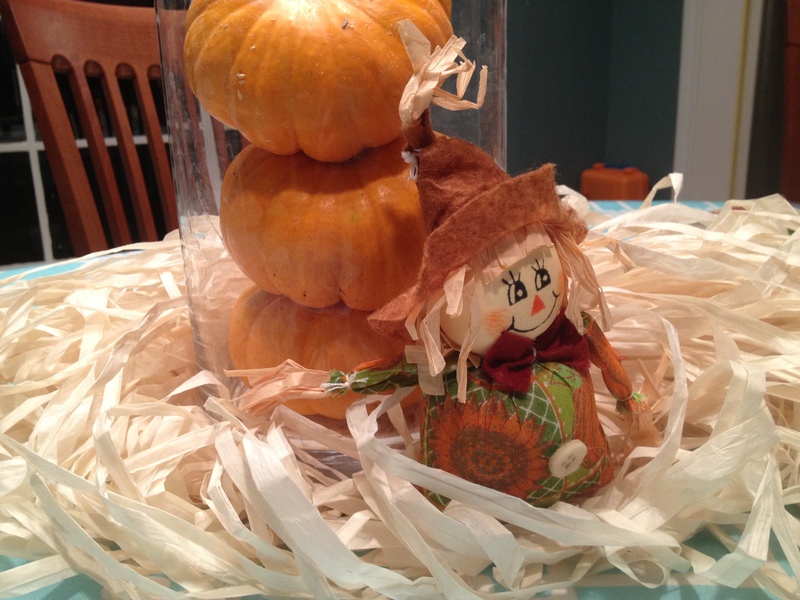 We got some little pumpkins and some $1 scarecrows at Target for our table centerpiece. 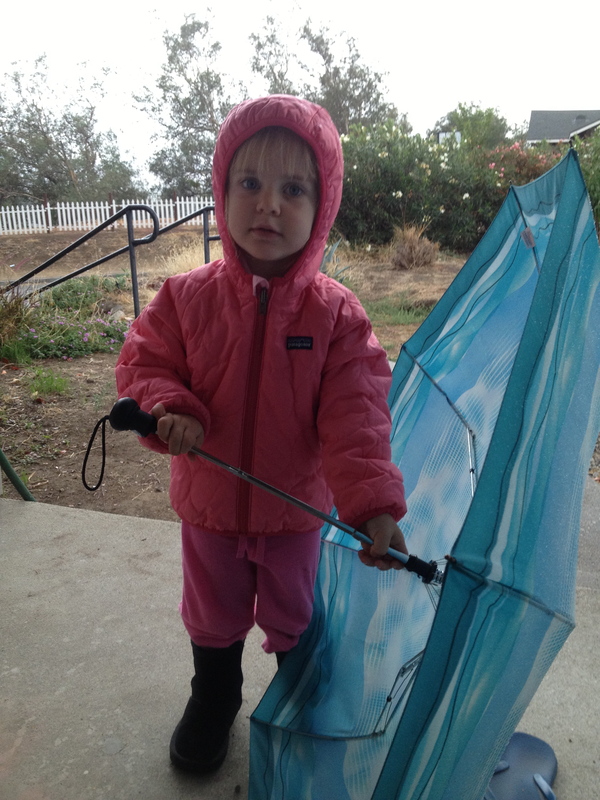 This was a fun activity. 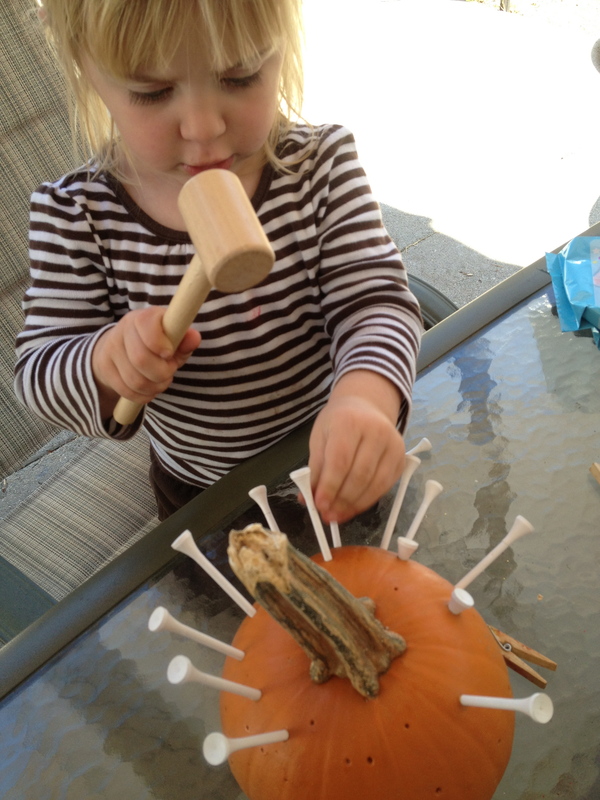 Hammering tees into a pumpkin. 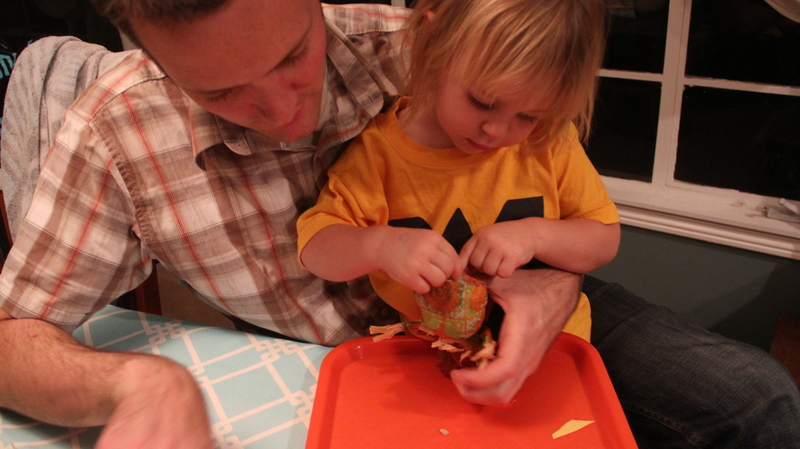 We also had a Fall Party with friends. 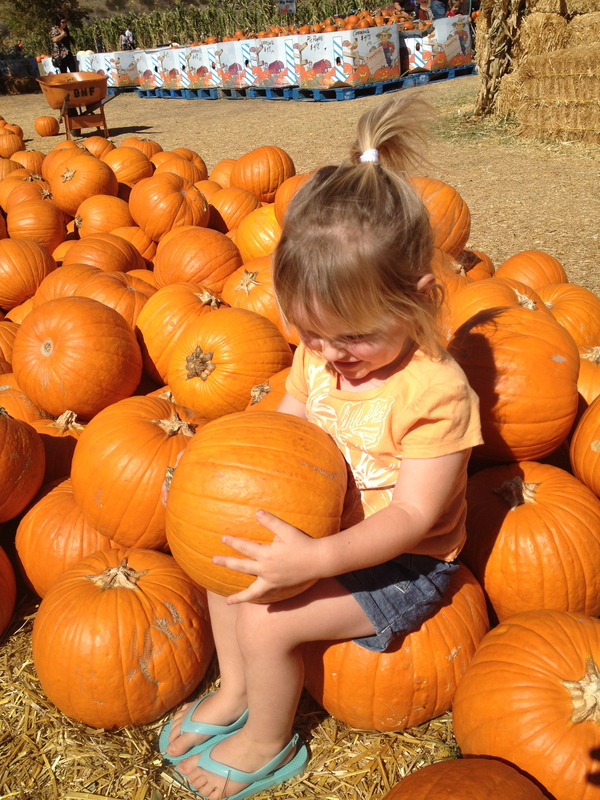 For my inspiration and more ideas, see my Fall Themed Pinterest Board.